On June 21, 2018, the Department of Labor (DOL) published its highly anticipated and controversial final rule (the “final rule”) regarding Association Health Plans (AHPs). The final rule significantly expands the kinds of employer groups and associations that are permitted to establish an “employee welfare benefit plan” under the Employee Retirement Income Security Act of 1974 (ERISA), and it also permits the participation of self-employed “working owners” in AHPs. This article explains the legal framework and historical context leading up to the final rule governing the establishment of these newly formed Multiple Employer Welfare Arrangements (MEWAs)1, and the specific requirements for establishing and operating AHPs (including the applicability of other federal and state laws to AHPs). 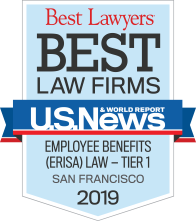 Under ERISA, an “employee welfare benefit plan” can only be established by an “employer,” an “employee organization” (such as a labor union), or by both. For this purpose, “employer” includes any person, “acting directly as an employer,” and “any person acting indirectly in the interest of an employer in relation to an employee benefit plan; and includes a group or association of employers acting for an employer in such capacity.” Therefore, under ERISA, a group or association of employers may sponsor a single “multiple-employer” plan (i.e., the association, not the participating employers, would be responsible for ERISA compliance — fiduciary, disclosure and reporting requirements).2 Prior to the final rule, the DOL’s requirements for a group or association of employers to qualify as an “employer” under ERISA (and therefore be able to establish its own employee welfare benefit plan) were very difficult to meet.3 The main objective underlying the DOL’s past strict enforcement of these standards has been to ensure that there is a significant demarcation between employment-based arrangements (as contemplated by ERISA, and which ERISA regulates) and commercial insurance arrangements. What Kind of Health Coverage Can AHPs Offer? Different requirements apply to policies sold in these three markets under both federal and state law. Generally, policies sold in the individual and small group markets contain much more robust coverage requirements (such as requiring coverage of the Affordable Care Act’s [ACA] ten “essential health benefits”) and more limitations on how carriers can determine pricing (such as prohibiting insurers from setting rates based on prior claims experience), versus policies sold in the large group market where the employer-plan sponsor has more flexibility in negotiating the terms of the plan, particularly with respect to self-insured plans (where the employer pays claims). Under current federal law, unless a group or association qualifies as an “employer” under ERISA (and can therefore sponsor a single plan), the health insurance coverage provided through that group or association to individuals and employers is treated as if the insurance coverage is being sold by the health insurance issuers directly to the participating individuals or employers. This means that the size of the participating employer (not the size of the association) determines whether the coverage must comply with the individual, small group, or large group market requirements. One association could therefore have individual, small group and large group coverage (depending on the size of its employer members), each subject to differing legal requirements. However, when a group or association qualifies as an “employer” under ERISA, it can sponsor a single ERISA group health plan.4 This means that to determine which federal regulations and state insurance requirements apply to the coverage an AHP offers its members, the size of the AHP itself is used. Therefore, subject to any contrary state insurance law, if an AHP covers over 50 employer members’ employees, it would be subject to the large group market rules under ERISA (even if, for example, it covered 51 individual working owners). As explained above, coverage in the large group market is subject to fewer consumer protections and coverage requirements than coverage in the small group or individual markets (and accordingly, would likely be less expensive). On October 12, 2017, President Trump issued an Executive Order directing the Secretary of Labor to consider issuing regulations or revising guidance that would expand access to coverage by permitting more employer groups and associations to form AHPs. The proposed rule was issued in January. It received nearly one thousand comments from various stakeholders, including group health plan participants, consumer groups, employer groups, employer associations, health insurance issuers, state regulators, and existing AHPs. The final rule does not supplant the Department’s prior guidance (as described above) regarding the establishment of AHPs, but instead provides an additional basis for meeting the definition of “employer” under ERISA. Both existing and new employer groups or associations that meet the criteria in the prior guidance can sponsor an AHP. This means there will be two ways in which an association or group can sponsor an AHP (i.e., by meeting the criteria either under the prior guidance or the final rule). Departing from prior guidance, under the new rules a “working owner” will be treated as both an employer and a participant for this purpose. This is explained further below. Aligning with prior/current guidance, the group or association must have a formal organizational structure with a governing body and have bylaws or other similar indications of formality. The Department declined to opine on the specific organizational structures that would satisfy this requirement, but presumably, the kinds of structures governing existing AHPs would qualify. Employer members that participate in the plan have the authority and opportunity to approve or veto decisions or activities which relate to the formation, design, amendment, and termination of the plan including changes in coverage, benefits and premiums. In the most significant departure from prior/current requirements, the final rule provides two ways in which a group or association can satisfy the requirement that they share a “commonality of interest” sufficient to constitute a “bona fide” group or association. The employer members are in the same trade, industry, line of business, or profession The Department declined to define “trade,” “industry,” “line of business,” or “profession,” but noted that its intention is that the terms be construed broadly. A beneficiary of an employee or former employee as described above (e.g., a spouse or dependent child). Similar to prior/current guidance, the final rules clarify that both the group or association, and health coverage offered by the group or association must comply with the final rule’s nondiscrimination requirements, as explained below. Like any other group health plan, AHPs are required to comply with HIPAA health-nondiscrimination rules. AHPs are therefore prohibited from discriminating with regards to eligibility, benefits or premiums against any individual within a group of similarly situated individuals based on a “health factor.”8 But, like other group health plans, an AHP may make distinctions between groups of individuals based on a bona fide employment-based classification consistent with the employer’s usual business practice and relevant facts and circumstances, provided such distinction is not directed at individual participants or beneficiaries based on a health factor. For example, an AHP may offer a different coverage package to dairy farmers than corn growers, or a metropolitan AHP may offer different pricing to retailers than to restaurateurs (i.e., pursuant to any of the other existing permissible employment-based classifications under the HIPAA nondiscrimination rules, including full-time versus part-time status, different geographic locations, membership in a collective bargaining unit, date of hire, length of service, current employee versus former employee status, or different occupations). controlled by a health insurance issuer. Has wages or self-employment income from such trade or business that at least equals the working owner’s and any covered beneficiaries’ cost of coverage for participation in the AHP. Under ERISA, a fiduciary is an individual who, among other things, exercises discretionary authority with regard to management of the plan or plan assets, or has discretion in the administration of the plan. Whether board members of the association that establishes the AHP are fiduciaries under ERISA will turn on whether they engage in these fiduciary activities with respect to the AHP. Because an AHP is a group health plan under ERISA, its participants are entitled to the same protections under ERISA available to participants in single employer plans or multiemployer plans. This includes, among others, requirements regarding Summary Plan Descriptions, Summary of Material Modifications, Summaries of Material Reductions in Covered Services or Benefits, and Summary of Benefits and Coverage. ERISA fiduciary rules and reporting requirements (i.e., annual Form 5500 filed with the DOL) and trust requirements for any “plan assets” that are held by the AHP will also apply to the AHP. Since AHPs will generally be insured in the large group market or be self-insured (to the extent not precluded under applicable state law — for example, California does not permit new self-insured MEWAs, as discussed below), they would not be subject to the requirement to cover the ACA’s ten essential health benefits (which applies only to non-grandfathered individual market and small group market insurance coverage). However, AHPs will have to comply with the ACA’s prohibition on annual or lifetime limits on essential health benefits that the AHP does cover. AHPs will have to comply with ACA requirements for non-grandfathered group health plans, such as no cost-sharing for preventive services, and annual limits on out-of-pocket costs. The MHPAEA exempts plans sponsored by small employers (between 2–50 employees). To determine whether an AHP must comply with the MHPAEA the Department will look at the size of the AHP itself, not the individual employer members. COBRA does not apply to a group health plan for a given calendar year if all employers maintaining the plan normally employed fewer than 20 employees on a typical business day during the preceding calendar year. As coverage provisions of COBRA are within the interpretative jurisdiction of Treasury and IRS, the DOL has indicated that it will consult with Treasury and IRS on the applicability of COBRA to AHPS and release future guidance on the issue. A VEBA is a type of tax-exempt organization that can be used by employee welfare benefit plans (including potentially AHPs) to hold plan assets. To qualify as a VEBA an AHP will need to satisfy the VEBA rules (which are more stringent than the final rule’s “commonality of interest” test). As VEBA rules are administered by the IRS, the DOL stated that they are outside its interpretative jurisdiction. AHPs will be required to comply with HIPAA Special Enrollment rules. As noted above, AHPs are one kind of “Multiple Employer Welfare Arrangement” (MEWA) under ERISA. Historically, many MEWAs were financially mismanaged and used as a vehicle to commit fraud on employers, providers and participants. As a result, in the 1980s, ERISA was amended to give states more authority to regulate MEWAs. MEWAs are also required to annually file the Form M-1 with the DOL. Currently, both fully insured and self-funded MEWAs are subject to most state insurance regulations (including requirements regarding reserves, contributions and funding requirements). In 1995 California prohibited the formation of new self-funded or partially self-funded MEWAs, and imposed strict certification requirements on self-funded or partially self-funded MEWAs already in existence. The final rule acknowledges the role of the states in regulating AHPs (due to their status as MEWAs) and did not modify or limit existing state authority. However, the tone of the regulations suggest that the DOL may revisit state authority to regulate AHPs in the future, if in the Department’s view, state regulations overly hinder the ability of AHPs to form or operate. Fully insured AHPs can begin operating under the new rule by September 1, 2018. Existing self-insured AHPs can begin operating under the new rule on January 1, 2019. New self-insured AHPs can begin operating under the new rule on April 1, 2019. In response to the final rule, many state insurance regulators have raised concerns about their ability to oversee and regulate AHPs. On July 27, 2018, the Attorneys General of eleven states (including California) and the District of Columbia filed suit in federal court to vacate the final rule on the grounds that, among other things, the final rule is inconsistent with the ACA, and that the DOL exceeded its regulatory authority. If you have any questions regarding this article, please contact its author. 1 An AHP is one kind of MEWA. 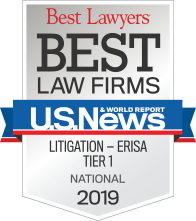 A MEWA can be a single ERISA-covered plan or an arrangement composed of multiple ERISA-covered plans, each sponsored by unrelated employer members that participate in the arrangement. 2 “Note that “multiple employer” plans are different from “multiemployer” plans. A multiemployer plan is a plan maintained pursuant to one or more collective bargaining agreements to which more than one employer is required to contribute. The final rule does not impact the establishment or administration of multiemployer plans. 3 These requirements include: (i) whether the group or organization of employers is a bona fide employer group or association capable of sponsoring an ERISA plan on behalf of its employer members; (ii) whether the employers share some commonality of interest with respect to their employment relationships and genuine organizational purpose and function, unrelated to the provision of benefits; and (iii) whether the employers that participate in a benefit program, either directly or indirectly, exercise control over the program both in form and in substance. 4 A “group health plan” is an employee welfare benefit plan, to the extent the plan provides or provides for the payment of medical care. 5 The requirement of a “substantial business purpose” was perhaps the most significant departure from the proposed rule, as the proposed rule did not require the group or association to have any other purpose beyond the provision of benefits. The DOL added this requirement in recognition that an association formed, and operating exclusively for, the purpose of providing benefits would be exceptionally akin to a commercial insurance arrangement without the requisite ERISA employment-related bond. 6 The final rule also clarifies that a “business purpose” is not required to be a “for-profit” purpose, and that the group or association could create a wholly-owned subsidiary to administer an AHP, even if the subsidiary exists solely to administer the group health plan. 7 The Department declined to be more specific regarding what is meant by “metropolitan area” but included examples of the Greater New York City Area/Tri-State Region (covering portions of New York, New Jersey and Connecticut), the Washington Metropolitan Area (covering the District of Columbia, and portions of Virginia and Maryland), and the Kansas City Metropolitan Area (covering portions of Missouri and Kansas). 8 In relation to an individual, a “health factor” means any of the following health status-related factors: health status, medical condition, claims experience, receipt of health care, medical history, genetic information, evidence of insurability, and disability. 9 Some AHPs currently in existence do “experience rate” individual employer members. This is still permitted for AHPs that satisfy the more stringent criteria under the prior guidance (for both AHPs currently in existence and those that form in the future). 10 The working owner can demonstrate the above by submitting evidence of a work history or a reasonable projection of expected self-employment hours worked in a trade or business. Hours worked in a trade or business can also be aggregated across individual jobs or contracts (e.g., an individual who drives for Lyft and Uber can aggregate their hours driving for both companies). 11 Additionally, an employee who is provided coverage by an AHP that does not provide “minimum value” may still be eligible (depending on income) for a premium tax credit to subsidize the purchase of coverage on a Health Care Marketplace.